Fluorine is in the form of fluorides ubiquitous in nature and as such an inevitable part of our environment. In small amounts, it is known to have beneficial effects on dental health. On the other hand, excessive chronic intakes can result in adverse effects including the development of dental fluorosis in children and/or skeletal fluorosis in both children and adults. The adequate intake has been set, based on empirical observations, at 0.05 mg/day/kg body weight however, the threshold between beneficial and harmful effects is narrow. Despite numerous studies, knowledge on the fluoride toxicity is still relatively poor. 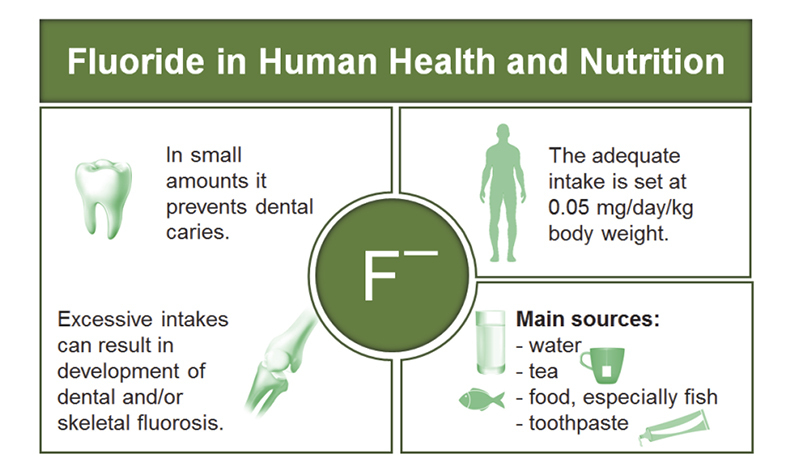 In this review, the role and the effects of fluoride on human health are enlightened. Some of the fluoride controversies are discussed and future research directions suggested.